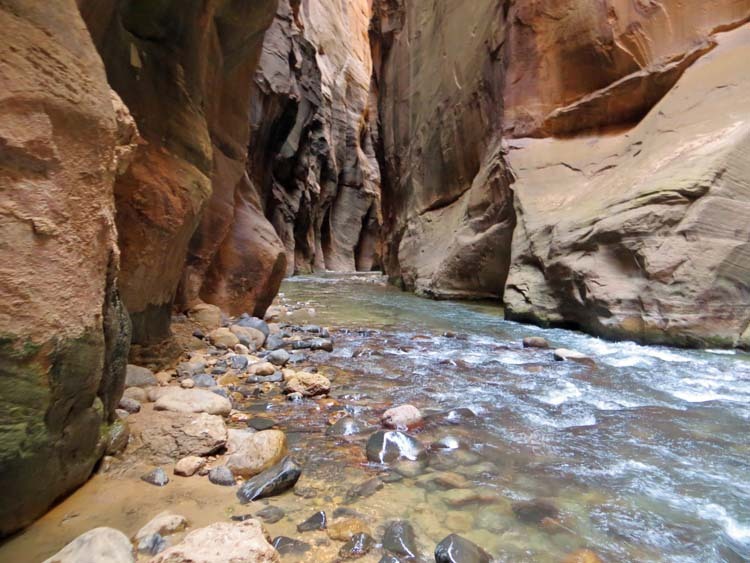 Hiking the Narrows at Zion National Park is something that should be on everyone’s hiking bucket list. 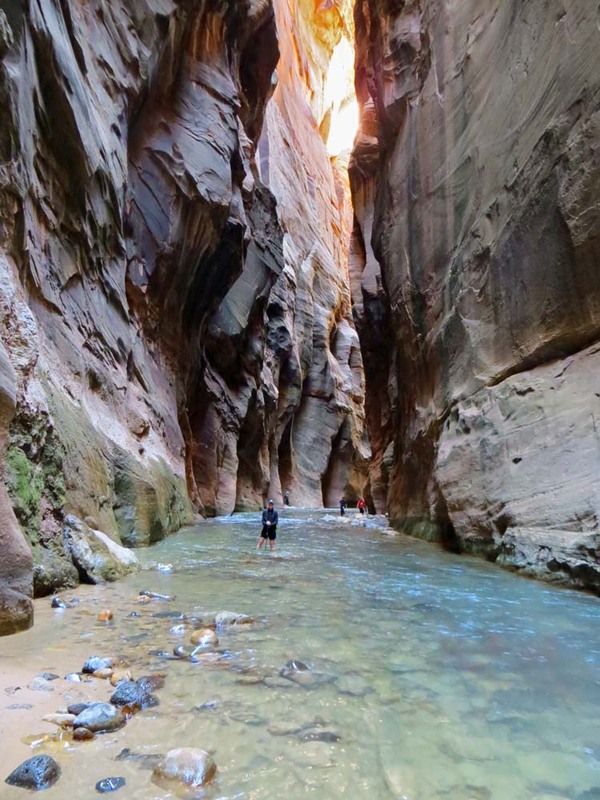 I mean, it is so cool; you’re hiking up a river, in a slot canyon, in the desert! This was my second favorite hike ever, and my husband’s favorite. 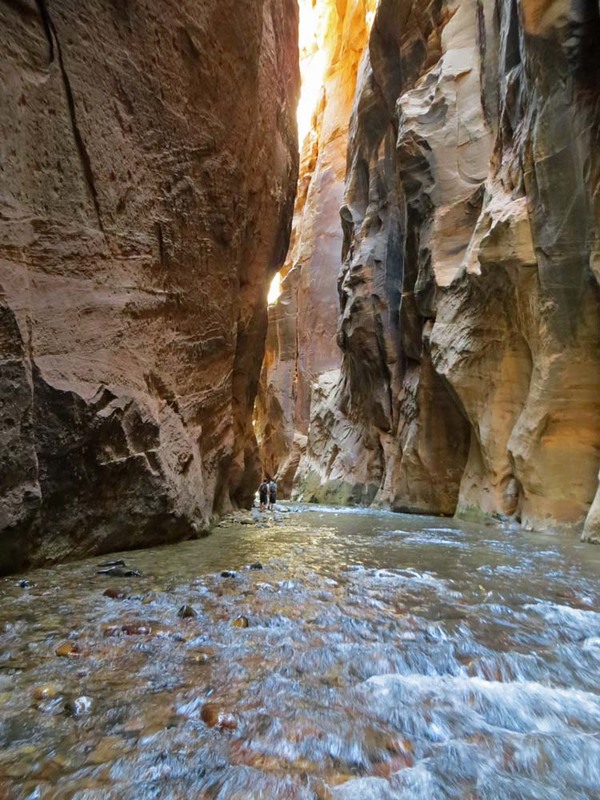 The best part is the further you hike, the less people there are. 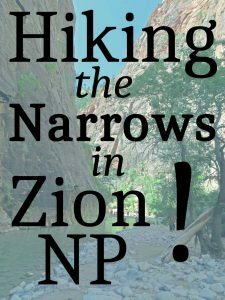 There are two different ways to hike the Narrows. The first is from the top down, which is a two day backpacking trip. 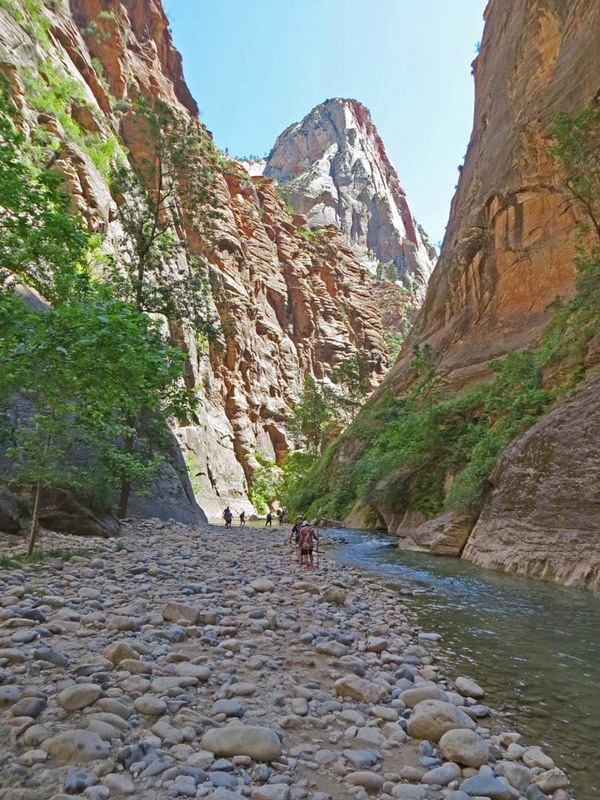 The second is to hike from the bottom up, which makes for a great day hike! We did the second. We actually hiked all day and went quite far, but the great thing about this is if you’re on a time constraint, you can schedule when you need to turn around. Also, if you get tired, you can also turn around. 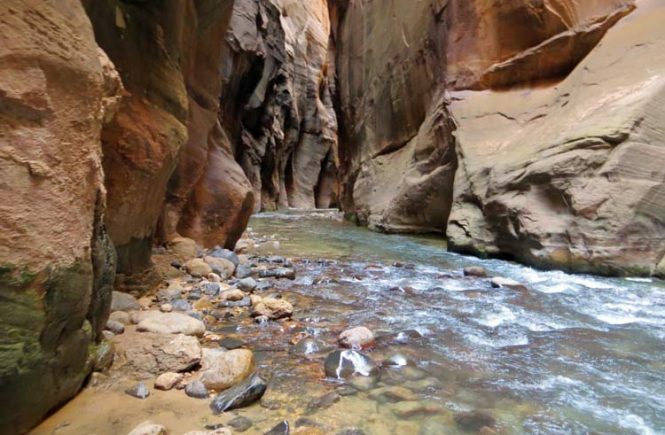 A quick note: Hiking out (downstream) goes quicker than hiking in (upstream). 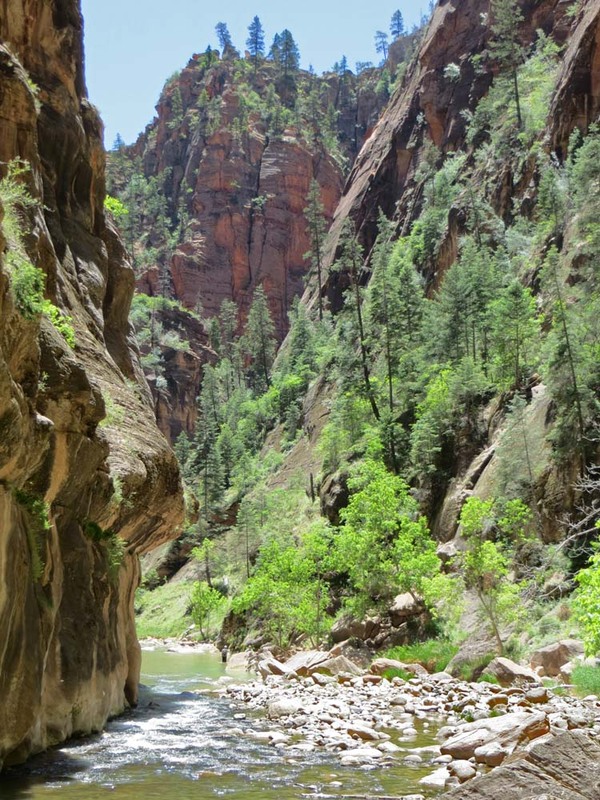 We hiked the Narrows in late May early June, and the temperature was perfect in the mid 70’s. 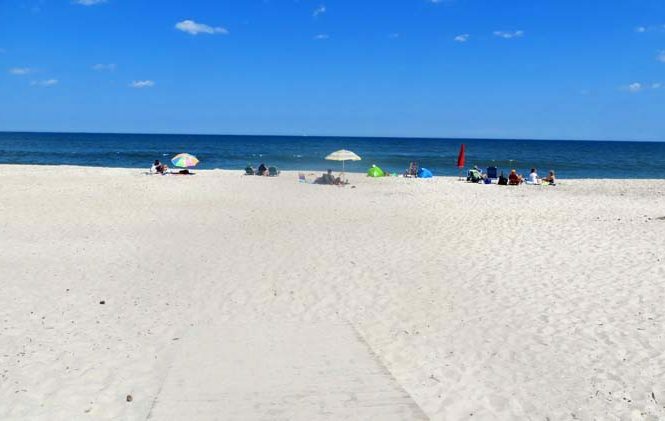 The water will be ankle deep much of the time, but can get as high as the waist. 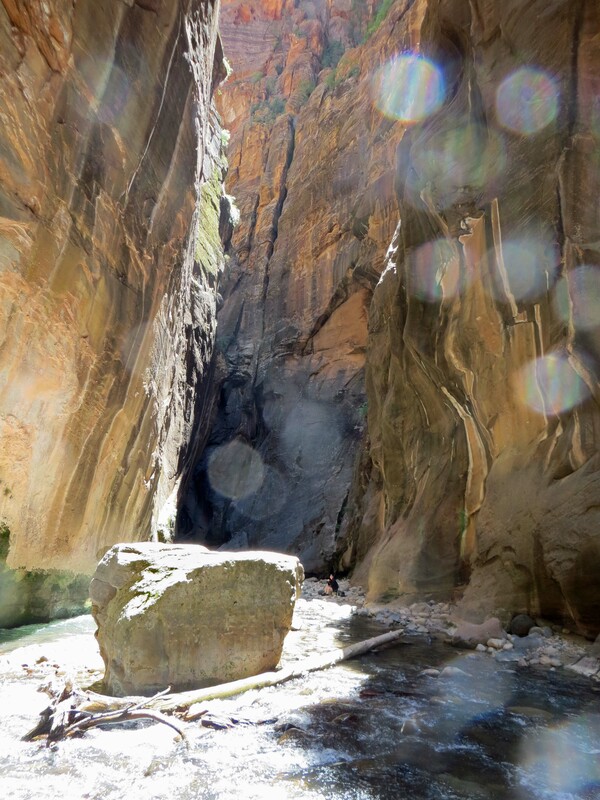 In one misstep, I sunk into a lower hole and the water climbed to my lower chest. 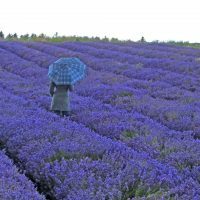 Wear breathable, quick drying layers. We wore exercise shorts, a tee-shirt, and I wore a fleece jacket (which I wore the whole time), because I tend to get cold. We also wore hiking boots, which I was glad to have since I tend to roll my ankles and they have extra support. I think my husband would have been fine with an old pair of gym shoes. We left both pairs of our boots to dry in the back window of the car, and both pairs shrunk. Instead of wearing regular socks we bought neoprene socks, which were nice since we were hiking for a long time in the cold water; I feel like they kept my feet warmer. We also bought a dry bag, but I wouldn’t do that again; we didn’t end up using it. We actually rented a drybag backpack instead which worked out well. You could also use a few ziploc bags, and hope you don’t fall in. Again thought, I roll my ankles, so this was a concern for me. We rented a hiking pole (now a hiking stick) for each of us, which was something I would recommend. It was really nice having that third leg to keep steady. We also rented a drybag backpack, which was not a necessity, but nice to have. Although, ziplocs and a backpack would have worked well too. 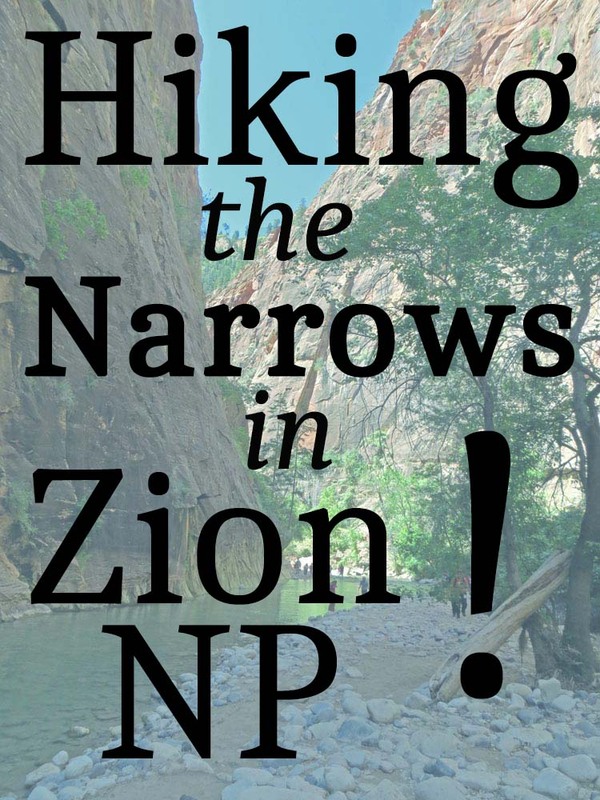 We rented these from Zion Outfitters, but it looks like there are a few places now. Get their early! Not just to the hike, but to the visitor center. This is a very popular park, and parking tends to fill up quickly. Seriously check the weather! Do not do this hike if there is rain in the forecast. You do not want to get caught in a flash flood! Pack snacks and a plastic bag to carry out trash. Leave no Trace! 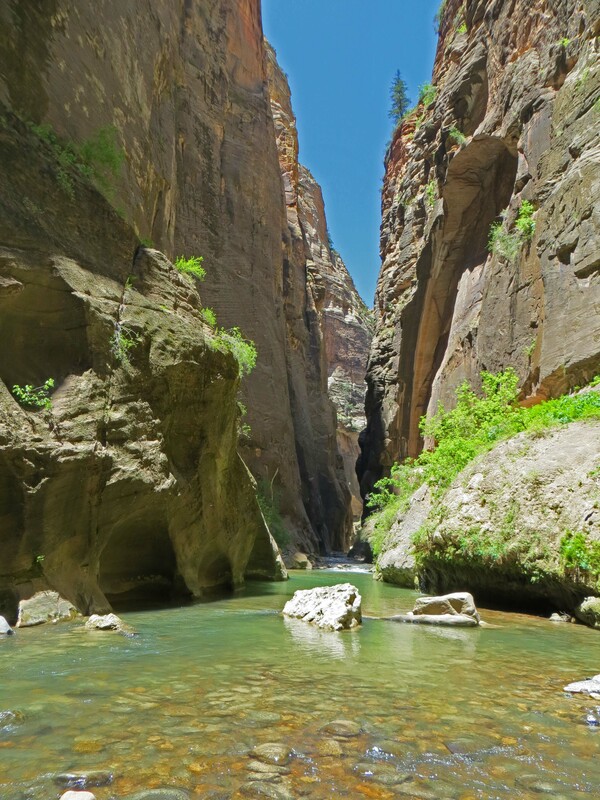 For more information on Zion National Park, click here. 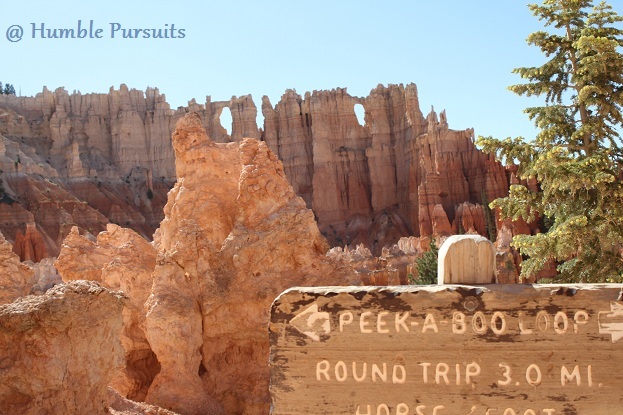 For another great hike at a nearby park, check out Peek-A-Boo Loop in Bryce Canyon National Park. What’s you favorite hike? Let me know in the comments!